Finde solche Retro-Looks total cool und steht Dir enorm gut! Hey babe! I am following you now! Self made ? wow I'm impressed ! Btw, could we following each other? I've following you now :) Thanks..
Love the hat,you have really interesting style. Hey! nice blog, im following you now with bloglovin and gfc! Ohh wow! Very well put together ;) love it! yes i would like to follow each other! I am already following you here and on bloglovin! 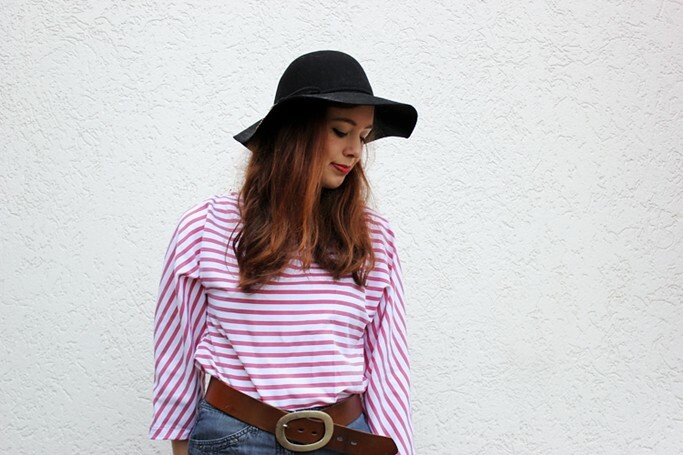 Super chic look, love the striped top and floppy hat! Thanks for your lovely comment,if you like follow on GFC, Bloglovina and Facebook,leave a comment and I'll surely follow back! You are looking gorgeous. 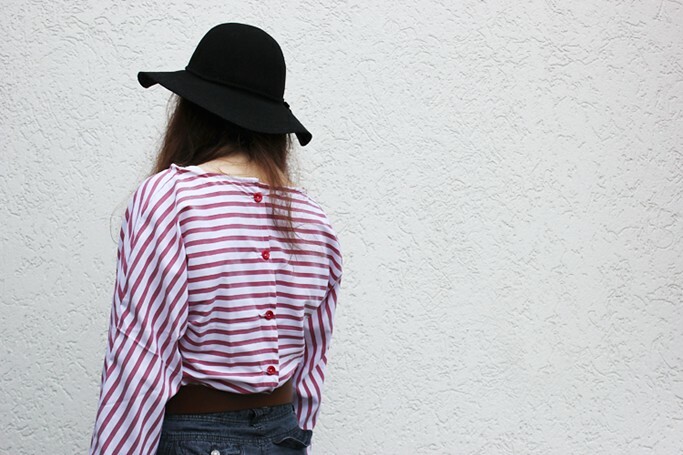 The stripes top looks very chic with the hat. Great blog and style!! thanks for your comment!! We follow you now, hope you do the same!! Awesome darling!! Big hug from Valence Spain. wow! adorable outfit....beautiful blog and i follow you!!! schöner Blog, sag mal ziehst du das auch in deiner Freizeit an oder jetzt nur für fotos? great outfit...I love the cut of the jeans and the shirt is awesome.